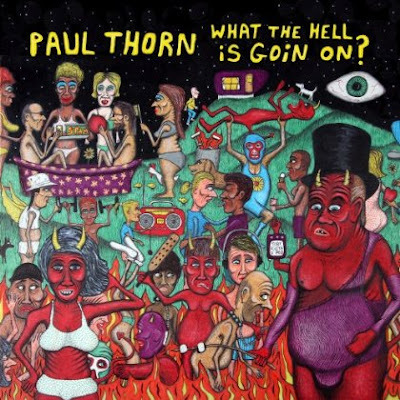 ALBUM REVIEW: Paul Thorn "What The Hell Is Goin' On?" Wisconsin born and Mississippi-raised Paul Thorn has a decidedly unique voice that offers the perfect blend of earthy blues and gravelly southern rock. The artist is currently riding a wave of success following his highest Billboard charting album - 2010's "Pimps And Preachers." However, his new album will be no less controversial as the cover to "What The Hell Is Goin' On?" is easily one of the most interesting and provocative album covers of 2012. Nevertheless, it's the music that matters most, and this album is an barnstorming, hell-raising, unqualified success. The fun begins with the soulful and upbeat "Don't Let Me Down Again," which is performed with a comfortable ease that any musician would envy, but the album really sparks with the insanely memorable "Snake Farm." Radio program managers should take notice of this killer cut.